How often do you find yourself going through the day not thinking about God? If we fall into this pattern at times, how do we get our kids thinking about God when they aren’t in bible class? Actually, this is probably one of the best times to start this habit. Starting when they are young, ingraining this into their regular thought pattern would be amazing! Now how do we do it? I tend to think there a many, many ways to accomplish this. 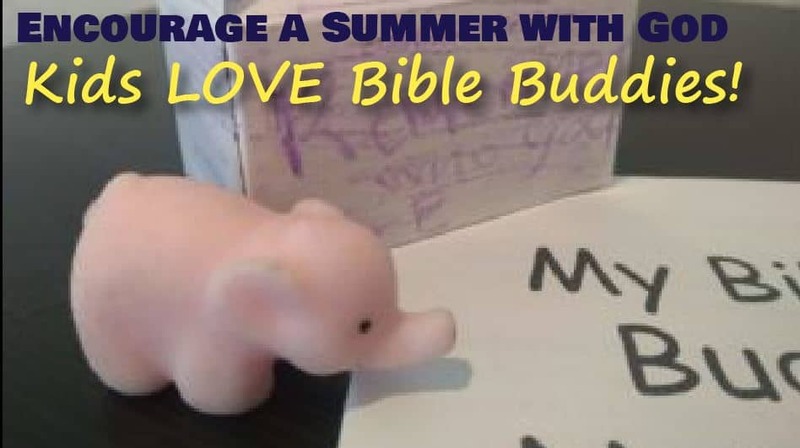 For me, we gave our K-5th graders “Bible Buddies” and a daily journal. Then we challenged them to share God with their Buddy every day of summer. Their squishy buddy has its very own pet carrier that lets kids easily take their buddy with them wherever they go. They can serve together, sing bible songs to their buddy, read their buddy a bible story, pray each evening with it…. The lists goes on and on. Our kids were thrilled to decorate their pet carriers and even more thrilled when I told them there is a reward at the end of summer if they can show me in their journals what they did with their buddy each day. If you are interested, the squishy pets and treat boxes for carriers were inexpensive. Kids just add colors and stickers to the carrier. And you can print off the journal or make your own! If you haven’t subscribed and would like to receive weekly updates with more articles like this, click here!